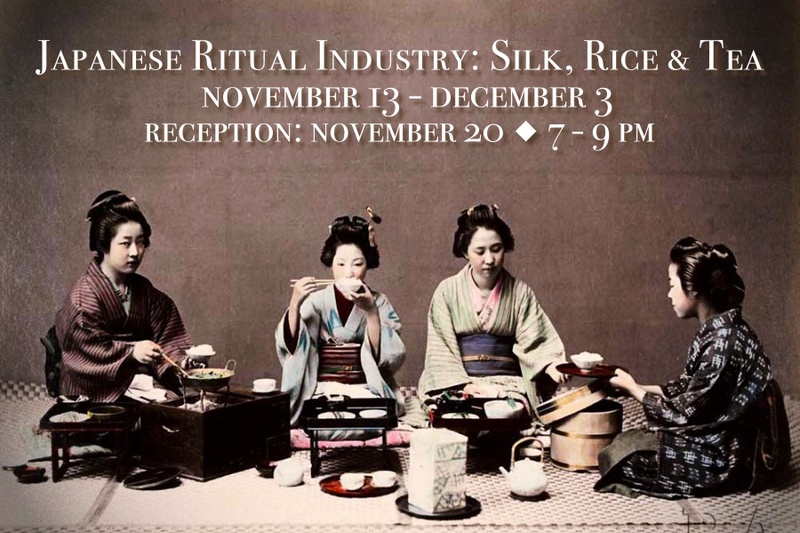 ANNOUNCEMENT: Ritual Industry: From a Different Angle Lecture on November 29th at 7pm. 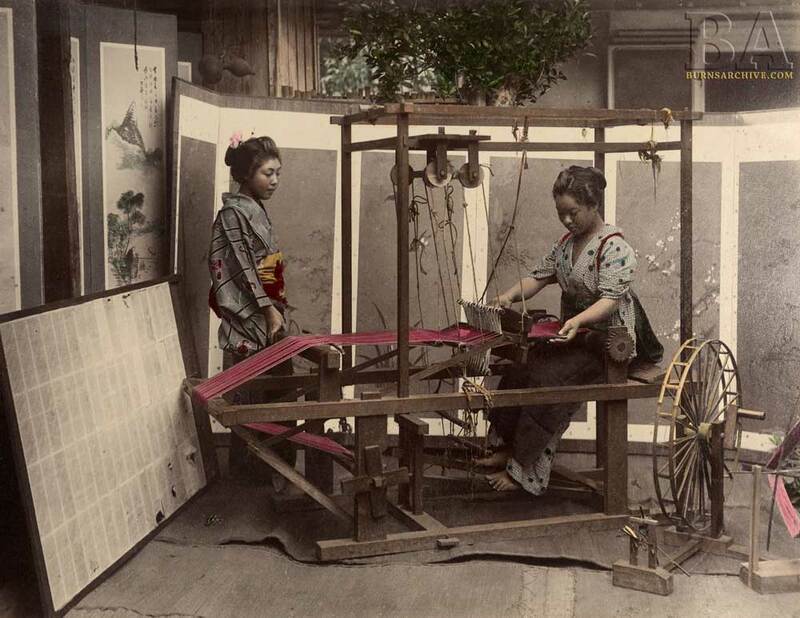 RESOBOX Gallery is proud to present an exhibition of hand-painted nineteenth century Japanese photographs from The Burns Collection & Archive. 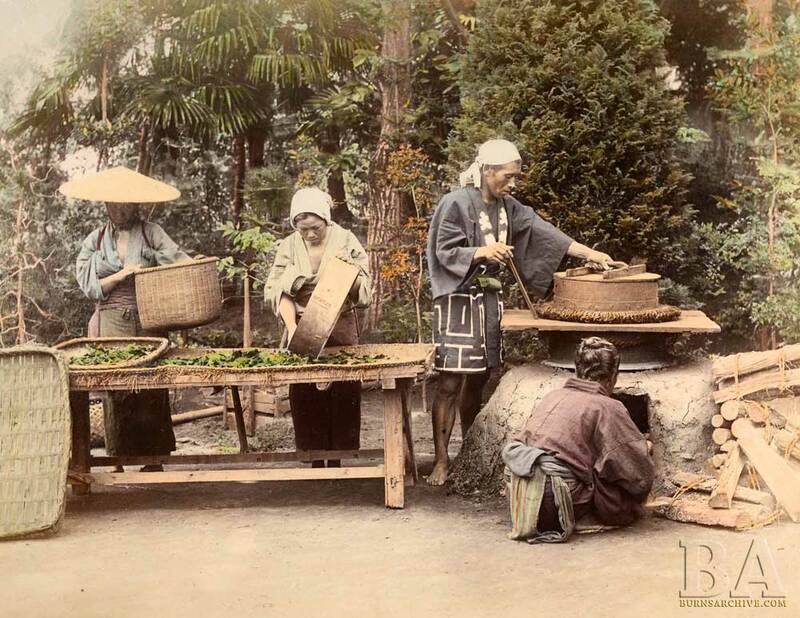 The ritual production of silk, rice and tea was integral to Japan’s Meiji Era economy. 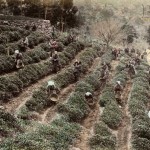 These photographs depict the manufacture, creation and utilization of these cultural and agricultural commodities. 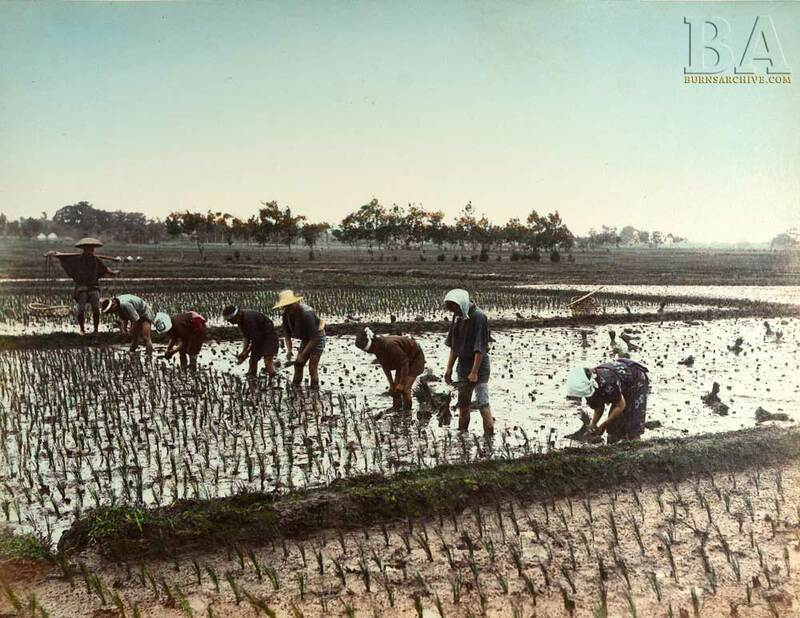 The images in this exhibition showcase the best of Japanese photographs that were created to introduce the basic industries of Japan to the West. 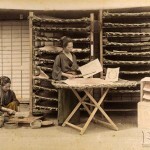 The photographs were exported to international fairs and expositions, and it was through these photographs that the world was exposed to Japan. 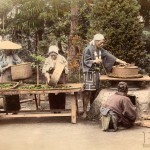 The Meiji Era production and process of silk, rice and tea are illustriously illustrated in these beautifully hand-painted nineteenth century photographs. 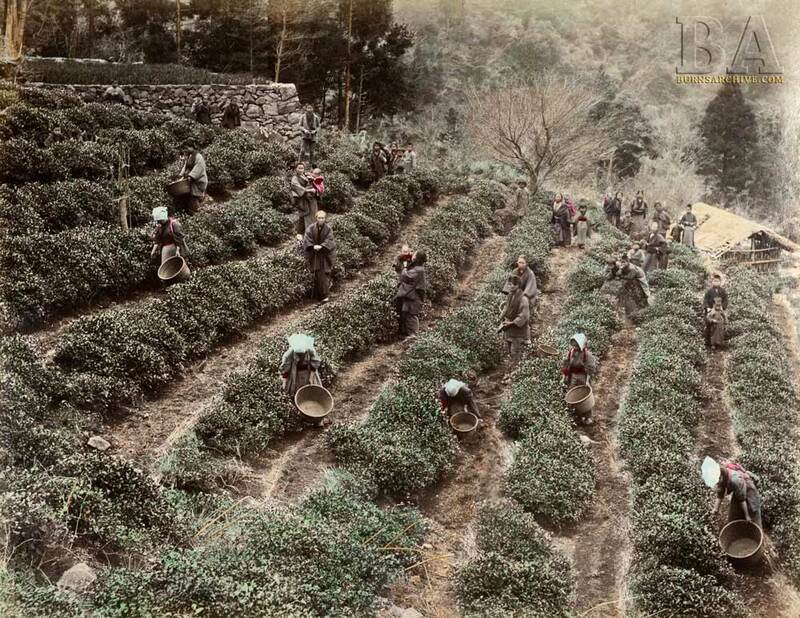 The Burns Collection was established in 1975 by Stanley B. Burns, MD, FACS, a New York City ophthalmologist and photo-historian. 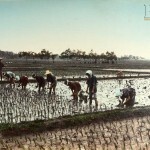 The Collection focuses on unique images not available elsewhere, and has been generally recognized as the most important private comprehensive collection of early photography. 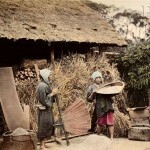 The Burns Archive, with over a million historic photographs, is best known for images of the darker side of life – death, disease, crime, racism, revolution and war – however, a large part of the collection depicts aspects of social and cultural life. 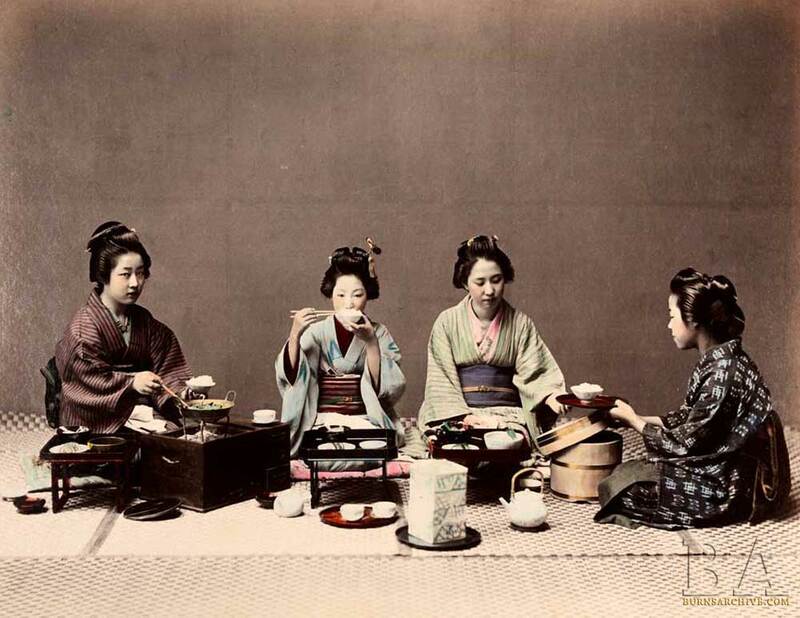 A favorite and compelling part of the Collection are nineteenth-century Japanese hand-painted photographs. 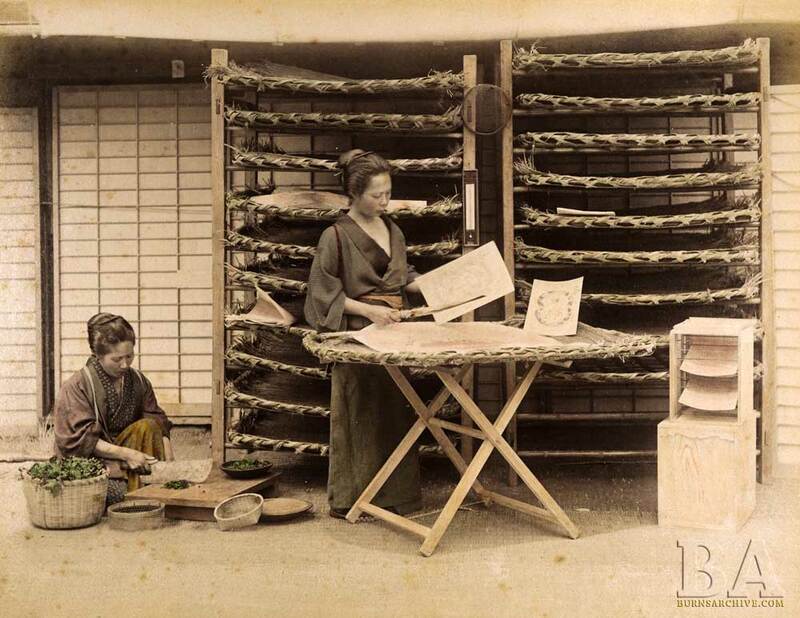 Working together, Dr. Burns and his daughter Elizabeth, wrote Geisha: A Photographic History 1872-1912. 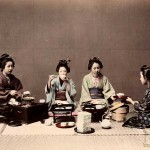 It explores the life and culture of Geisha during the Meiji Era with a comprehensive history of photography in Japan. 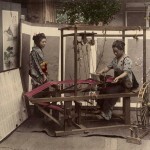 They have also produced several exhibitions. 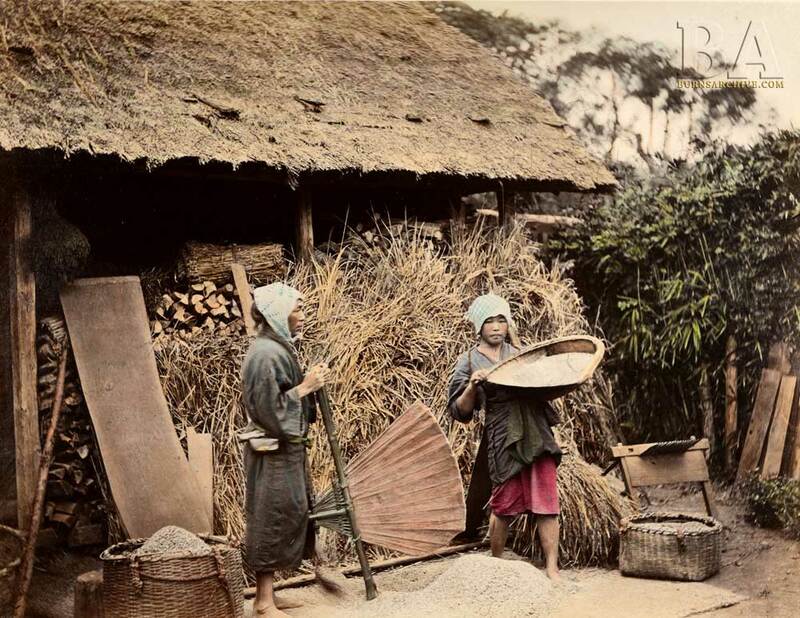 They have been especially pleased to present at the Resobox Gallery in 2012 Geisha: The Golden Years 1870-1890, in 2013 Working Life in Meiji Japan and in 2014 Japan – An Island Nation: 1870-1890. Exhibition is free admission. Feel free to visit us.